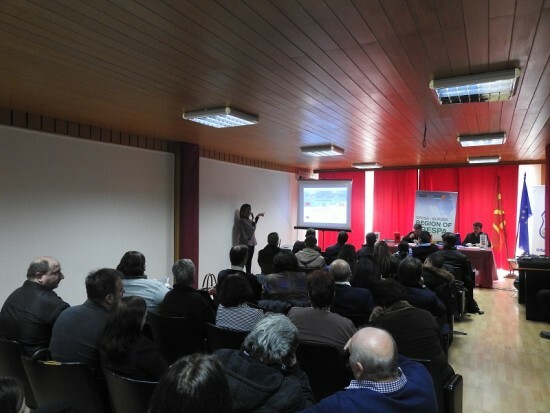 The regional event “Improvement of waste management systems in the cross-border region of Prespa” was held on the 6th March, 2017 at the Municipality of Resen. The event was organized by the JKP ”Proleter” from Resen in cooperation with the Municipality of Korca and the Municipality of Pustec from Albania. The main objective of the event was to promote the environmental values in the region, in the context of best practices of waste management and use of recycled products in organic production, and branding the Prespa region as a destination for eco-tourism. The event brought together the key actors responsible for the management, control, promotion, advancement of the waste products in the region and provided transfer of knowledge and best practices in the field. With this event the management of the organic waste will obtain a cross-border dimension and would contribute to the branding of the Prespa region as a district of organic agricultural production. In this way, besides environmental development of the region, it will have positive effects on the agriculture and tourism. The event was aiming to enrich the theoretical and practical knowledge of waste management and promote the inclusion of all stakeholders. 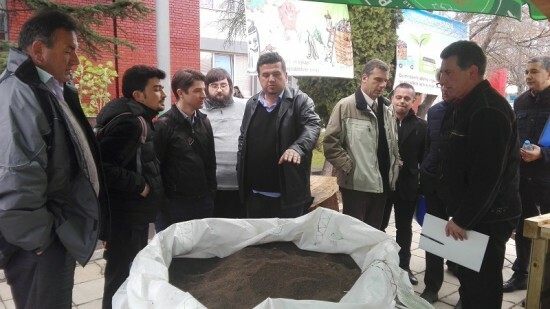 Resen Municipality promotes waste management, expands market compost, while the municipalities of Pustec and Korca acquire theoretical and practical knowledge and change in the way they manage organic waste and utilize recycled organic products in arranging public spaces, horticulture, organic farming and tourism. The exhibition part of this regional event included presentation of the practical use of compost in special stands and other decorative objects with useful value where the use of compost is shown in horticulture, gardening, fruit plantations, medicinal, aromatic and spice plants. The guests and the visitors received promotional and educational materials with practical recommendations for manufacturing and use of compost. The participants also had the opportunity to visit the local composting in Resen “Bio Preskom” where they were presented with the technological process as well as the supply of raw materials.